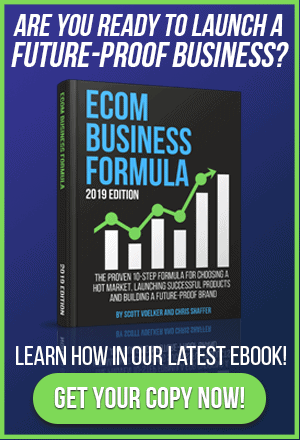 There are lots of people who hear of what’s going on with Amazon private label sales and think that they can’t get into it without a huge investment. But that’s not true, and this interview episode is proof. Today, Scott is chatting with Travis, a normal guy who calls himself an “average Joe.” Travis heard about private label sales on Amazon and decided he was going to make it work even though he didn’t have software to research his product ideas or a huge budget to do it. You’re going to be blown away by the success Travis has had simply by following some common sense steps. Getting the product idea first. Travis’ first private label product idea was a product that is a popular trend right now, so he wasn’t sure if he should go with it or not. But getting a good price on the product and the possibility of a good sized margin prompted him to take the leap. So with $1500 spent in products and fees Travis was able to get his first product onto Amazon. His story is an amazing one because his approach was truly a “bare bones” attempt and his hard work and risk taking has paid off. You can hear the exact steps Travis went through on this episode of The Amazing Seller. Playing with the price to get his product off the ground. When Travis first got his bare bones product onto the Amazon selling platform, his competition was pricing their products are around $15 each. He decided to go below that at $9.99 each. He wasn’t sure what kind of effect that would have but went to sleep after posting his product consoling himself that he shouldn’t expect much the first few days. He woke up to 5 sales of his product and he didn’t even have any reviews on it yet. You can hear Travis’ amazing story as he shares it with Scott on this episode of The Amazing Seller. Pay per click right away and no reviews. One of the things Scott recommends to new sellers is to get their product onto the Amazon platform and then do a couple of giveaways to prompt reviews for the product. But Travis wanted to see what would happen if he didn’t have any reviews but started with PPC right away. That’s what he did, just using a broad search PPC campaign, and his sales began almost immediately. In his first month he sold over a thousand products and still has not secured any reviews for his product. He’s hoping that organic reviews will happen soon, but also knows that he eventually needs to get a giveaway going to get his review started. Travis’s gutsy approach is one you’ll enjoy hearing about it, on this episode. Proof that private label sales can be done with a small budget and low amount of experience. Today’s guest has never done Amazon private label sales before. He did not have a large bank row and had absolutely no experience sourcing or selling products online. The only education he had was listening to the episodes of this podcast. the results he’s gotten are amazing. Within his first month Travis has well over $1,000 worth of sales and is already ordering more products to replenish the ones that have been sold. He expects to expand this product into multiple products, possibly variations of the same product, and even adding accessories to his product line. It’s proof that Amazon private label sales is the real deal and anyone can do it. [0:05] Scott’s introduction to the podcast! 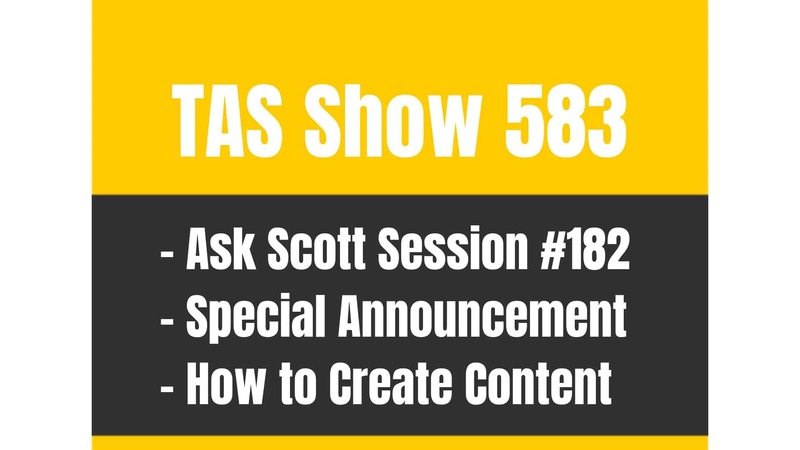 [2:52] Get in on Scott’s free live workshop. [3:21] Travis’ background and how he got into Amazon private label sales. [7:00] The small start Travis had getting into Amazon. [8:21] How Travis got his product ideas. [9:52] Finding the right manufacturer for his product. [12:00] How Travis first developed his packaging ideas. [14:00] Travis’ price point and why he priced his items lower than the rest of the market. [16:14] Getting into the brand registry. [18:34] Travis turned on PPC from day 1 and got some good results. [22:00] 20 sales per day with no reviews to date. [23:18] Price adjustments and what Travis plans to do next. [27:15] Are variations possible for Travis’ product? Yep. [28:30] Capitalizing on a trend and making a profit as a result. [30:20] Just making it happen without as much training as normal. [31:48] Reordering and getting his products replenished on Amazon. [33:00] What Scott loves about Travis’ story the most. [35:36] Ways to reduce costs are still ahead. [37:46] Step by step from the ground floor and the incredible results. [38:38] Travis’ advice: don’t get hung up on the product research phase. [40:00] Scott’s summary and encouragement to you. This guy that I’m talking about, his name is Travis Stitt and he is the average Joe. He’s okay with me calling him that because that’s what he referred to himself, and I’m an average Joe, I got to be honest with you, I’m the construction worker, when I was working for my father and then transferring into more of a photography kind of business from scratch and then from there, learning how to sell online and then building business there in the now Amazon FBA so I’m just that average Joe and I know that Travis is an average Joe and a lot of you listening might be average Joes or Sues or whatever, I don’t want it to be just like men here because there’s a lot of women out there doing well too. I just want to share this interview with you that I set down with Travis, we went through exactly what he did, and you’re going to be blown away at the some of the things that he did in the beginning without even really doing a lot of research, doing some, but not really even using any tools in the beginning, which is kind of crazy, now that they are out there. Going out there and finding his way, listening to the podcast, getting into the Facebook group, and then from there just pushing forward and taking little steps and now launching a product, and he has plans for future products and it really validated to him that this process works. Now that he’s did it without really doing all of the stuff that he could have did, now he sees even a bigger picture of what he can do. With all of that being said, I don’t want to give it all away but I want to just let you guys know this is a really great interview, I think you guys are going to love it. Now, before I do jump in though, I want to remind you two things. Number one, we do have transcripts available now for you on all the episodes. This one in particular, you’re probably going to want to download this transcripts and you’re also going to probably want to check out the show notes. We do have all that included now on the particular page for this particular show, so 173 theamazingseller.com/173. The other thing is, is if you guys are brand new or just starting, and you want to know the five phases that I used as an average Joe to launch my first product, you’re definitely going to want to check out our live free workshop, where we also answer live Q&As. You can register for an upcoming one by going over to theamazingseller.com/workshop. All right guys. I’m going to stop talking, let’s go ahead and listen to this interview with Travis Stitt. [00:03:21] SV: Hey Travis, thank you so much for hanging out with the TAS community today, what’s going on my man? [00:03:27] TS: Hey, what’s going on Scott? [00:03:28] SV: I’m doing great, I am doing really good today, just got off with another interview, and now I’m interviewing you, which I’m really excited about because you contacted me and said … You told me your story which I want you to go through here today. It might be refreshing to hear like the average Joe, the average Travis let’s say that you’re a lot like I was, it’s just like doubling here, seeing what’s going to happen and we’re not saying, you’re doing 25 or even $50,000 dollars a month but you’re making some money and you’re getting some sales and you’ve kind of went through the process. I wanted to really drill into that but maybe you can just give us a little bit of a background of who Travis is and what makes you tick. [00:04:16] TS: Yeah. Sure. My background is, I don’t really have any business experience or marketing or online or any other that kind of stuff. I’ve been working at my current job for about six years, I work at … Are you familiar with REI? [00:04:35] SV: Yeah, I’ve heard of it. [00:05:32] SV: Again though, you’ve never sold anything online before? [00:06:41] SV: That’s a lot of Scott by the way. [00:06:46] SV: Didn’t you get sick of me? Didn’t you tell me to go away? [00:06:47] TS: Became like just like just the norm, you wake up have a cup of coffee, you wake up you listen to Scott, like how it was for 30 days really. [00:06:58] SV: That is funny. Okay, cool. [00:07:03] TS: I listen to your podcast. As soon as I started listening, I think I was like half way through, I didn’t actually finish your podcast before I started doing the research phase. I’m not really sure where I was, but I was like, “Okay, I just want to do this, I just want to get started and do this.” Because the more I listened to it, the more I just got pumped about it. I just started researching products on Alibaba. I probably started researching around, I would say into November. I started researching and then somewhere mid-December is when I started to order my first bulk order from Alibaba. [00:07:42] SV: What was your mindset as far as budget goes? What were you willing to throw into the game? [00:07:50] TS: Honestly, money wasn’t really something I was worried about because I knew that you have to spend money to make money. I guess I would have been comfortable with two to three thousand, if I had reached that point. I didn’t actually spend that much but I was okay with that, because I just knew I would get that return. I think I actually ended up spending about $1500, is what I actually ended up spending to start. I can break that down if you want to. [00:08:21] SV: Yeah, let’s go back a little bit and let’s talk a little bit about product ideas. Like where did you start to get these product ideas, I think it’s what a lot of people struggle with and I think it’d be interesting to hear your mindset and what you’re doing to brainstorm all the ideas? [00:08:37] TS: Sure. That’s definitely, I think one of the hardest parts, since trying to figure out what you want to sell. It can be daunting. I took some advice that you gave about thinking of things that you use everyday or things that you touch everyday and so I thought of things that interested me or things that I would probably want to go buy on Amazon and just went on little tangent from there, I thought of something and then I thought, “Okay, that’s related to this.” Just kept branching out like that and while I was thinking of these ideas, I also had a browser open with Amazon and a browser open with Alibaba, so that I could see how many sellers were selling that product on Amazon. I knew like, “Okay, maybe I shouldn’t even get involved with that, there’s a hundred people selling it.” It’s really what I did, was just kind of look where there was room in the market to get into and then I compared that with prices on Alibaba to get an idea of profit margin before I really decided on, “Okay, this is the perfect product that I want to go with. [00:09:52] SV: Sure. Now, from that point, you get it dialed in to where you think that you’re going to be going into a certain market, was there like, did you have a hand-full of products, you are like, “Okay, there’s like these five that I’m going to look into” and then started to do your research inside of Alibaba? [00:10:09] TS: Yeah, that’s exactly how I was. I think that’s probably closer to ten products, actually I had in mind. I had those ten products in mind. They are all on the same category. I wanted to make sure I stuck with one niche and so all those products, they were all on the same category and I had about ten of them. What I did was, I just started contacting manufacturers on Alibaba for those products, multiple for each, maybe two or three manufacturers for each product, whoever sounded the most appealing to me as far as the vibe I got from the manufacturer and the price that they were offering and stuff like that, that’s how I chose the path I wanted to start with. I found one that I liked and so I contacted a couple more manufacturers for that one. I wanted to make sure that I had options. I think I had maybe five different people that I was talking to. You want to order these samples from them and time how long it took those samples to get here, and weigh that against the quality of the product. You want to choose something that’s not going to take three months to get to you. You also want something that’s going to be good quality, you’re going to stand behind it. [00:11:27] SV: Yeah, that’s great. [00:11:30] TS: That’s what I did and I got the samples and then I chose the one that I liked the best and placed my first order, I think it was 500 units. [00:11:39] SV: Now, did you have that branded or did you just go generic? [00:11:45] TS: What I did was actually though, the manufacturer I was talking to they wanted like 3000 units, the one they do custom branding. What I did was, I just ordered the unbranded products that’s unpackaged. What I did was, I ordered some gift boxes from U Line, I printed my own brand name on that gift box and then I packaged the product inside the gift box. [00:12:10] SV: I like that. [00:12:11] TS: So it saved me some money and also what that allowed me to do was, when I put the products on Amazon I was able to market it as coming with a gift box, like that was included. In addition, I said, “XYZ with giftbox.” It was appealing because all the other people who were selling that product, just selling it as is without anything. I thought they gave me a little bit of an edge. [00:12:39] SV: Did you have the boxes printed or did you have a label put on the box? [00:12:44] TS: I had a label put on the box not something I plan on doing my second time around, because I think it’s easy to counterfeit. But that’s what I did at first because it saved me money, and it was easy, and it’s been working so far. [00:12:56] SV: I like it. Now, did you have to package those in the box when they arrived? [00:13:02] TS: Yeah. Not a lot of people … They don’t want to do anything hands-on, a lot of people… The whole reason against this business is to avoid having to do a lot of hands-on work. [00:13:31] TS: That’s my mindset, that’s want I was thinking of. I was like, “You know what, I don’t mind doing this, it’s fun for me anyway and in the future I just figured I’d have the manufacturers start to print the boxes for me.” Like you said, I’m really just testing the market with this product. I have no idea if it’s going to sell. I was really just testing the market, I was okay with doing that myself, it was actually fun to package them myself, I had put some love in there. [00:13:56] SV: Yeah. Absolutely. Now, what was the price point that these were potentially going to sell for? [00:14:05] TS: Yeah. My competitors on Amazon, they were selling it between $15 and $20, which in my opinion, it was way overpriced and that was also, a lot of negative feedback was given in reviews, and I made sure I read the negative reviews too. There was something negative about if I could fix it, I could talk to the manufacturer about fixing that, whatever the problem was. Unfortunately it was nothing with the products, it was just the price point. People didn’t like how expensive it was for what it was. What I did was, I figured, “Okay, I could sell this for like $9.95 and at most, I could sell it for probably $14.95, if I had to.” I knew that I was going to sell for ten bucks, my profit margin was one of the best after Amazon fees and everything but I knew that I would still make money out of it, because more people are probably want to buy it, because I’m offering it at a cheaper price. [00:15:01] SV: Sure. You’re going more for volume then? [00:15:03] TS: Right. Yeah, and so yeah, my price per unit from Alibaba was, it was 65 cents per unit and then shipping was another like $1.20 or a little over $1 for shipping, it was kind of expensive. I think total, including the packaging from U line, the cost per unit was about $2 and I sold it for $9.95 initially and Amazon fees were another $4.16. Basically, I ended up with $3.79 per unit, it’s how much in profit. I thought that was pretty good for just testing the market and starting out and everything. I was okay with losing money or breaking even at first. It’s all about trying to rank initially. [00:16:01] SV: Okay. You ordered those 500, you get them all packaged, you ship them into Amazon and then from this point you get them into Amazon, you get your listing created and all that stuff. What’s your next move? [00:16:16] TS: What I wanted to do … A lot of people are like, “You got to get those reviews first before you do pay per click.” That’s what I was planning on doing at first but I just wanted to try … I was just really anxious actually to try pay per click, so I turned it on day one. I’m sorry let me back up a second. Before I did that, my next step, I actually did the Amazon’s brand registry. I wanted to make sure that I got that done before my product even made it to the warehouse. Just because I’ve had zero experience with it, at first, you recommended that you don’t really worry about the website or the packaging and stuff like that at first. I think you found out later the hard way that the people can just randomly come on at any time and piggy back or hijacking. I wanted to make sure that I was proactive with that and I made sure I’ve made a website, I use wif.com, it’s really easy to create a website, just a basic website with my product on it, a little bit about my company and stuff like that, my brand. I bought the domain for, I think it was like $3, it really wasn’t that expensive, and it didn’t take me long, a couple of hours just to build a website, and it looks pretty professional. Amazon, I think requires pictures of the packaging, with your brand name? A website with your brand name and the product itself with your brand name on it and so I got those pictures and I send those in with url, and actually I got approved I think in like six hours. [00:17:59] SV: I think it depends on the market or the category, I mean, I think I got approved in like three days, it wasn’t that long. But I have heard also to on-gating and then brand registry in other categories I’ve heard could take longer but yeah that’s awesome. [00:18:13] TS: Yeah. It was pretty awesome. Yes, I might definitely recommend that people starting out, I think they really should do the brand registry, even if you’re just testing the market, it really doesn’t sound like it cost any extra. I think that it’s a good step you can take just … Especially if you’re in a competitive market for sure because, I mean, you never really never know what’s going to happen. [00:18:32] SV: Absolutely. Okay. Now you get brand registry and all that stuff and then you ship your products, and you turned on to pay per click like day one? [00:19:18] SV: And that was straight through pay per click? [00:19:23] SV: Was it an auto campaign? [00:19:26] TS: Yeah. The first thing I did was auto, it was, and I set my limit – I only set my limit to five bucks. $5 and I think I put my cost per click in like 15 cents. [00:19:38] TS: I know. I just really wanted to test it out, I just wanted really want to see if this product had potential without going all out. That was my thinking, I was like, “Okay, I just want to see what to see what kind of potential I have without going crazy.” I just wanted to start really low with the pay per click, and wanted to start without reviews just to see like, “Okay, if I sell x amount with no reviews, then imagine how much I can sell with 50 reviews.” You know what I mean? [00:20:06] TS: That was my plan, and so yeah I sold five. I only think I only spent a couple of dollars, you don’t actually end up spending your whole amount usually. I spent just a couple dollars on pay per click. Then I started taking those keywords from the report on the auto-campaign and I started plugging those into a manual campaign and trying to refining it over next weeks. My sale started to increase a little bit, I think a lot around seven to ten is what I was averaging, and it still had no reviews. [00:21:13] SV: When did your product go live? What was the date? [00:21:16] TS: It was January 8th, is when it went live. [00:21:18] SV: Okay January 8th and you sent me a screenshot, today on January 27th and I’m showing 127 units ordered, 107 ordered, so that means that people bought multiples, and I show $1210.65, and the average sale is $11.31 per sale. It’s pretty impressive. [00:21:44] TS: I thought so too, it’s only like I said, I only sell it for $9.95, and your margin is not that great when you have a $10 product and I thought it was pretty good, just for no reviews, I really didn’t have any authority on Amazon, no experience with this and I thought it was pretty good, I was pretty excited about it, and that was the 27th you said? TS: I think that was probably almost 20 days. Now, on that day 25, since I sent you that screenshot, I’ve sold– how much did you say units was? [00:22:21] SV: It was 127 units ordered. [00:22:23] TS: Yeah and so I just sold 236 now. [00:22:26] SV: Wow. You added another 100? [00:22:27] TS: Yes. What I did was, I’m like, “You know what, I’m just lower the price by $1.” I lower its price by $1, I started selling 15 units a day. I lowered it by another $1, and I started selling 20 to 25 a day. I still only have … Right now, I have one review. [00:22:46] SV: Oh my Gosh. [00:22:47] TS: One review and … I started selling a lot more. Obviously my margins are lower, but I was selling enough more that actually I ended up making more money, even though I’m selling it for $2 more or less, I still made more money, because I sold three times as much. [00:23:04] SV: Right. I’ve seen that happen before as well. I guess my only thing would be now, okay now where do you go with this? You know what I mean? Like okay I know what I’d been thinking, but I’m just curious like, so what’s your next move? You know what mean? [00:23:18] TS: Yeah. I’m not going to keep it lowered by that for so long, I’m going to, I think bring it back up and I think try and slowly increase the price after I get some more reviews. I actually want to try out Thomason and those review clubs just because I know I’m experienced with it, I want you to feel for it. I think that’s what I’m going to do next, just try and get more reviews, to see how that impacts my sales so that I don’t have to keep lowering the price to boost those sales. [00:23:45] SV: What are you noticing on … Are you on front page now for your keyword? [00:23:51] TS: Yeah, actually from day one my product is something you have to kind of search specifically for. I guess it can pop up in certain categories. If you’re searching for, it’s really hard to explain without giving away what I’m selling but for the generic category that I’m in, the generic like keyword, the main keyword I guess I’d be associated with, I’m on page, I think I’m on page two. I’m number 20 in my sub-category, that is. I’ll tell you my main category, I’m in toys and games, that’s my main category. I think I started out with … I was ranked 20000 when I first started in, and now I’m at rank 3000. [00:24:41] SV: Okay. What’s crazy here too is, you didn’t even really get a chance to capitalize on fourth quarter. [00:24:49] TS: Yeah, I know. [00:24:50] SV: And in that category, fourth quarter will be huge. [00:24:54] TS: I know, and that’s something I was really kicking myself. [00:24:58] SV: That’s alright. Next year you are going to crush it. [00:25:03] TS: Yeah, next year I’m excited. [00:25:03] SV: And if you’re still able to do right now, if you’re saying like people right now in that space, are you looking at page one and saying like, what they’re average selling per day. Are they selling 20-30 units a day? [00:25:13] TS: Yeah, sometimes it was more than that. [00:25:16] SV: Which is crazy for upper fourth quarter in that category. For you, you’ve got in your head, you’re like, “Okay without it being fourth quarter, I could get this to 20 units a day.” Then in the fourth quarter, you could get that possibly to 100, maybe even more a day. [00:25:33] TS: That’s what I was hoping. It’s definitely what I was going for or what I’m anticipating at least, because I hear everyone… fourth quarter is just like amazing, especially for toys and games. I just barely missed out on that Christmas season. [00:25:49] SV: I think you’re fine, I think it’s great that you’re still validating that you still can get sales outside of the fourth quarter and you still have room to grow and right now, your focus should be getting that to grow at the, try to get to that 20 units a day if you can at the price point where you’re making a little bit more so you’re not like giving the product away, in a sense, but you’re also creating roots in that category and for that product. Danny Brewer, a good friend of mine, he always talks about, you’re kind of like rooting yourself so even though you’re making less per unit, you are rooting yourself into the search results for that particular keyword and I think then that’s just going to come back and in different times of the year you may have also have spikes because in that category I’m sure there’s times that people are buying gifts or whatever in this space but I think fourth quarter, that will be the sky’s the limit, but I wouldn’t bank on fourth quarter. I like it that you’re going with the consistent, okay I’d love to get a 20 sales a day that would be a great thing. Now, are other things, I mean you said other products that you mentioned – are other things that you could have a spin off of this? [00:26:57] TS: Yeah, well there’s things that could – if someone bought this product they would probably buy one of my other ones that I have lined up and I’m considering. It’s just kind of the categories that people buy these things together, they don’t necessarily go together like accessories or whatever but they are just things that you kind of buy together. [00:27:18] SV: Now, would you have a variation of this particular product? [00:27:21] TS: I thought about it, yeah there is something that I have in mind for variation. [00:27:25] SV: I think that’d be huge for you. [00:27:29] TS: Yeah and that’s something I definitely considered, especially because there is a variation on this product that is actually feeling really well. I actually just used Jungle Scout for the first time yesterday. I didn’t use it initially because I hadn’t really, I don’t know … I knew it was what I wanted, I think. I didn’t really need to use it. I knew what I have picked would sell. [00:27:50] SV: How did you validate that on page one without having a tool, I’m just curious, because I know people are going to be thinking the same thing? [00:28:00] TS: I don’t know. [00:28:02] SV: Did you look it BSR and have an idea or did you look at the reviews? [00:28:06] TS: Yeah, I looked at BSR, I looked at reviews and I did some research on how those correlate units per day and stuff. But that’s really all I do is just some light research into BSR and I just knew that what I was selling just because it’s trending right now. There wasn’t really that many people selling it but I knew that it would just going to sell, even if there was no one selling it, I know it’s a horrible idea and if anyone is listening, and thinking, “Okay, if there’s no one selling it, I can just put it up there and be the first one.” I don’t recommend that but I just knew that my product was going to sell just because of what it is. [00:28:43] SV: I think if you can follow a trend or if you can see a trend coming and then get in there, I don’t think that’s a bad thing. I think that you can capitalize on that. And then for you now, you can capitalize on that traffic coming to that listing on variation or even for other products down the line. [00:28:58] TS: Right. With Amazon, frequently bought together kind of things and actually yeah, they just put up a frequently bought together on my page, I hadn’t had one this whole months until a couple of days ago. I’m frequently bought with one of the best-selling items in my category. I think that’s going to help boost my sales, because that was just like two days ago, and it’s like this product, I used Jungle Scout and it’s selling like $30,000 a month in revenue, estimated. [00:29:30] SV: That’s awesome. That is really, really exciting. In that category, was that gated or is that ungated? [00:29:37] TS: No, it’s ungated, I’m not even sure like can a new seller enter a gated category? [00:29:42] SV: Yeah, you just have to get ungated and there’s different ways to do that, you have to proof of like inventory, invoices and stuff like that but yeah that’s totally … People I have to en-beauty, that’s one thing you have to get ungated. There’s more hoops to jump through but you can definitely do it. [00:29:59] TS: I got in, I wasn’t sure … I just want to avoid it just because it was easier. I didn’t want to go through the hassle trying to do that. [00:30:07] SV: I’m excited for you. I think this is amazing. I think it’s awesome to be able to show that number you had no experience selling online at all. Right. You did it man. You went and you followed some basic instruction and you went out there and you just made it happen. I think that you have a huge potential looking forward, moving forward and having accessories I think is going to be one of them. You’re doing everything correctly in my eyes. Yeah, I wish the price point was higher of course but to me you’re validating and you’re also entering in that market and now you can do other things that could bundle or you could …. If people are buying this more than one … You know what I mean? You could have something there that says buy two get one for 50% off or something. [00:31:07] TS: Actually something I consider doing. I think one person bought eleven of them. That was what one person bought eleven of them. That was one person bought and it might have been, I was thinking, maybe it would have been some kind of party or something. I don’t how one person can use eleven of these but yeah, people buy more than one a lot. I think you’re right, I could use that promotion to drive sales. [00:31:34] SV: How many units to date right now have you sold? [00:31:37] TS: I’ve sold 237 units today at 1975.20 so $1975.20. [00:31:52] SV: Yeah. Almost a couple grand. Okay. Now you have to reorder. [00:31:58] TS: I already did actually. I already placed an order because they’re on Chinese new year right now over there so I wanted to make sure I ordered before the new year incase they ran out. [00:32:08] SV: What’s your lead time on that? [00:32:11] TS: I did it in like five days. It’s really fast. It’s amazing. No custom fees, I didn’t have any problems with customs or anything. Five boxes is what they come because it’s a hundred pieces per box. I get five big boxes and didn’t have any problems with customs didn’t get held up or anything fees, and five days is how long it took it’s super fast which is awesome incase I really need to get some right away and I ran out of inventory before I knew I and whatever and I can always just order some and I’ll know five days I’ll get it. [00:32:42] SV: What did you? Did you put an order for another five hundred or did you do more? [00:32:46] Travis: Five hundred. My next one I think I’m going to do maybe a thousand so that I can kind of focus on my second product a little more. [00:33:01] SV: I love it, I love it. I think I love it the most because there’s really not a lot that went into … You researched it but you did the old fashioned way. That’s kind of what I did with my first product too and it worked. You also went and tested to see if you could do it without any reviews that kind of worked and here you are. I do think that you’re will increase sales if you get more reviews. My first recommendation would be definitely do a small little give away even if it’s just a small one and to try to get some reviews coming in. This way here when people are looking at it you can then charge a little bit more or what other people are charging or even just a dollar less than what they are. [00:33:45] SV: You’ll definitely see it. You’re still fresh in this. You’re still in the launch phase in a sense. What’s was your first order amount? How much did you have to spend? [00:33:58] TS: It was $325 for the units,another 450 for shipping and then there was a PayPal fee. I should say I use PayPal because I live in Washington State and, I don’t know if you knew this but Washington State is the only state that is not allowed to buy from Alibaba using their escrow system or their payment system. I tried doing it and then it was like, “We’re sorry you can’t purchase anything to our escrow system.” And I’m like, “That’s weird. I don’t get it.” I just researched and it turns out Washington State there is some kind of issue going on, some kind of legal issue that they haven’t the correct document to allow that escrow system. It’s just Washington. I’m not really sure what it is but if you’re in Washington, PayPal is really the only way to go. I did that and you know, there’s going to be like a 6% fee, so I just offered to pay for it. It wasn’t that expensive so I think total, what I paid was about $815 for the product and then another $175 for the packaging from U Line. About $1000. [00:35:10] SV: I was going to say so 1000 bucks and you’re able to get this thing, this thing started which is awesome. I love it, I love it. That’s really cool. You’re going to have to definitely keep me posted on your progress. I think you’re going to do great things. It’s going to be exciting to watch and see you grow and especially in the next year, next holiday season. I’m sure you better stock up. [00:35:35] TS: That’s something I plan on doing for sure and I’m really excited and anxious to get to our fourth quarter. [00:35:44] SV: You can also probably even reduce some of your cost by having them package over there with the box and the label and all that stuff. You’ve got a little bit of margin room there that you can also probably improve. That’s good. [00:36:02] SV: Not to mention the labor that you’re spending for yourself. [00:36:06] TS: Yeah. That’s such a pain. [00:36:08] SV: I’m just saying. We’re not calculating that it’s taking you some time but again I always look at that. Well, in the beginning it’s okay as long as you know you can outsource that later or have that part of the process then you can save even more time and money by doing it. You’re validating this by a $1000 or less. You just validated this product and you can seen now that there is this potential and it’s also gotten you moving and the momentum it validates to yourself that, wow this is kind of real. You know? [00:36:38] TS: Yeah. That’s what I thought too, this really worked so it like kind of validated for me and that was awesome. [00:36:44] SV: Yeah, that’s really cool. Really cool. I’m so glad that you reached to Travis and you wrote me that email and you kind of said there it’d be kind of nice maybe and refreshing to hear just from an average Joe. I think of myself as that average Joe as well because there’s people claiming and they probably are doing hundreds of thousands of dollars per month. That’s cool. My whole thing and my head was always like try to build something that I could manage without having to call it a job. For me getting to $50,000 a month in revenue is kind of like where I’m still shooting. I’m hovering around the $35,000 mark right now which is great but I want to grow that to 50 and then we’ll see where that goes. I think you have to go in steps, in baby steps and you’ve done it. You’ve done everything right and I love it and it just it’s great that you’re diving in but you’re able to do it in a way that you’re not risking too much but you’re validating. [00:37:43] TS: That’s exactly what I wanted to show people like look it can be kind of daunting when you hear people like oh $100,000 in sales a month and this and that and you’re just like how am I going to get to that point? How am I going to do that? I just thought it would be refreshing to hear just some normal guys who had no experience whatsoever in business at all and here I am making $2000 in sales in the first month. It kind of validates that anyone can do it. [00:38:12] SV: Totally. I really appreciate it Travis and yeah definitely keep me posted. I’m going to need some updates from you. Definitely keep me posted, maybe we’ll have you back on at maybe the six month mark again and we can kind of track your progress and see how you’re doing and maybe if you had anything that you had to overcome we can talk about that because I think that’s another stumbling block for people. They get roadblock and they all of a sudden stop. Would love to do that. Is there any little bit of advice that you wanted to give to anyone that’s thinking to themselves, “I’m not really sure if I should give this thing a shot or not”? [00:38:46] TS: Yeah. I guess that piece of advice I can give is just don’t get hung up on that initial product research phase. I think that’s where the most people have the most struggle with, trying to find that right product and getting discouraged because they’re having trouble finding it and there’s too many people selling it or just can’t just, they can’t think of the right products. My advice is it doesn’t have to be like the perfect product. It doesn’t have to be like the silver bullet or whatever. It just has to be something that’s going to sell and it’s won’t be too competitive. I definitely recommend using Jungle Scout if you’re starting out. Something that I’m definitely going to be using from now on. That’s I guess the best piece of advice I can give. Use Jungle Scout, don’t get hung up on that first product selection. You just do it. You just have, like you say it, you just have to take action. You just have to do it. [00:39:40] SV: I agree. I appreciate it Travis and I thank you so much for taking time out of your day to share this with us and definitely keep me posted like I said and I know that the listeners want to be hearing some updates as well. We’ll definitely be following up with you and good luck to you bud. Take care. All right. There you have it. Right. Was I candid, the bold and awesome interview with Travis and again the average Joe. I think that a lot of people can relate to that and they think to themselves that they’ve got to have everything figured out. They have to have this big budget and you can hear in that interview that I just share with you that Travis didn’t have all that stuff. A lot of people think they have to but they don’t. It’s just a great, great way for us to kind of go through that entire process and then also hear how Travis can improve what he’s done and make it even easier than going through that initial process of finding that product now that he knows what he’s kind of doing. I’m putting that in air quotes. He learned a ton. He learned a ton and he’s doing really, really well. I’m so glad that he was able to come one and share it with you and with me and I know I’m inspired by it and I’m so glad that I was able to share that. Once again, I want to thank Travis and I know that Travis will be getting an update while try to bring him back on in the future and we can kind of go over what’s happened since this interview. All right. Once again guys I want to remind you that the show notes, all the show notes for this episode and the transcripts are located at episode 173 so the link for that will be theamazingseller.com/173. Once again that’s theamazingseller.com/173. Then the last thing I want to mention is if you’re brand new or you haven’t attended one of my live workshops or even if you have and you want to register for upcoming workshop where we breakdown the five phases for launching a product on Amazon and all of the questions that we’ll answer at the end and everything you can participate in, that can be found at theamazingseller.com/workshop. Once again that’s theamazingseller.com/workshop. All right guys. That’s a wrap. Thank you so much for tuning in. I appreciate each and everyone of you, hopefully you got value from this. Hopefully you’re motivated and inspired and ready to go out there and take action. I know that I am so glad that I was able to share this with you today. Remember, the last thing I want to remind you guys is that I’m here for you, I believe in you, I’m rooting for you but you have to, you have to, you have to … Come on say it with me, say it loud, say it proud, “Take action.” Have an awesome, amazing day and get out there and do something. Take care. www.Wix.com – where Travis got his website created. 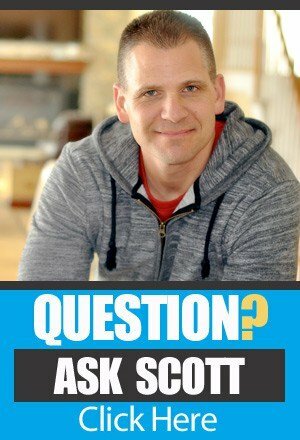 TAS 451: ASK Scott Session #139 – Sales Vanished – Help to Narrow Market – One Product and Email List? So lets say I create a brand SAMs, from what I am reading, I apply for brand registry only under a category lets say HOME & KITCHEN? Does that mean my brand SAMs is not protected under category TOYS and I cant sell toys under that brand. Surely, I can have multiple brands but makes hard to manage so many websites, marketing etc… you know what I mean? Hey Max, each brand would be protected for whatever category you’re selling in. You may have to reapply for protection under a different category (like toys), once you have a product in that category. since most brands only sell in one category, but they wouldn’t STOP you from getting brand registry across multiple categories. Make sense? Hey Scott, I just had a question regarding product launches. Do you recommend I do a giveaway on lead pages using a facebook ad to boost initial sales and get reviews in return to “spike” the amazon algorithm or would that be a waste of time and money? What is your opinion on this? Hey Mustafa, if you’re a facebook ads ninja it might be worth your time, otherwise you would be better off using a review service like GetBSR, ReviewKick, or Tomoson. Hi Scott! I have a question regarding getting ungating in Amazon beauty category. Its end of May 2016 and I am curious if you know if amazon in excepting sellers into this category. We sourced and private labeled our product when it was really easy to get into the category. We brand registered with Amazon, have an authority website, have a commercial invoice we keep submitting to them with everything they require. The only message we keep receiving is that their internal sources can not verity that this address is valid. But we know it is. I guess we should have gotten approved to sell in beauty before considering this private label product. But their is no turning back now. We need to do everything it takes to get approved so we can start selling. We are not giving up. Any suggestions? By the way both my husband and I enjoy your podcasts and so thankful that you are here to share your knowledge with us. Amazon is absolutely still accepting sellers into the category. If you’ve only submitted one invoice, that may be part of the problem since their actual requirement for the category is 3 invoices. You may also want to make sure both your address and supplier address match exactly with what is registered for the respective businesses that seems to cause some headaches! less the 500 reviews where? all top 10? or a few in the top 10 results? Hey Same, an average of 500 or fewer across the top 10 results. when u say u are looking for less then 500 reviews, where should be less then 500 reviews? thar perticular product u are looking in, or like greg said in episode 161 at least 4 5 in the top 10 results? Hey Same, you’re looking for an AVERAGE of 500 or fewer over the top ten listings. Great podcast! I did have one question regarding boxing up the product yourself and labels. Did the UPC or Amazon code go on the outside of the box that was shipped to Amazon since the product wasn’t packaged itself yet? Or did the product come generically packaged with the label on the product packaging from the manufacturer? Hope that made sense. Just wondered if the UPC label needed to go on the product on the first unbranded run or on the outside of the box. Hey Chris, you can use either the UPC or the FNSKU on the outside of the box. If you use the UPC, you could sell that stock on places other than Amazon if the need ever arose, but Amazon would charge you a few cents a unit to label it, but either way will work. While this Avg Joe had both success and luck, I was waiting for you Scott to ask if he launched with our without liability insurance, if he did lab testing in the US and if he sought proper compliance certificates as his item he said was in the toy and game category. While I understand his “quick and dirty” launch strategy, there is no excuse for not be a responsible manufacture. What are your thoughts on these issues? Keep up the great interviews! Enjoy all your shows. Hey Darren since all of that varies so much by category you have to go with your gut on stuff like that. The general rule of thumb would be to not over complicate it if at all possible and see if the product will sell. With something like a toy or anything digestible, I would source that in the US and rely on the certifications from the Manufacturer as my fall back. Hey Same, he and I have a very similar approach to product research, we both look for less than 500, he has recently started looking for even less, I still am looking at products with up to 500 reviews on average! Hey Dave the only difference is that Amazon knows the purchase was made through the platform. since reviews don’t directly impact rank, it shouldn’t matter either way! Congrats on pushing forward and having sucess. I just am kinda of lukewarm on this. To me this seems like just undercutting your competitors and shooting yourself in the foot with low margains. While all is fair in commerce and war, to me it would’ve a waste of time to target such a low reward strategy. This also solidifies to me the importance of sticking with products that I can make enhancements or changes to, so a new competitor cant come in and just drop price. I currently have 3 products on Amazon and they are products that I did not make enhancements to. I’m starting to see price dips so maybe I’m just sour about this. I do have another product in the works that I am redesigning but it takes a lot longer (obviously).